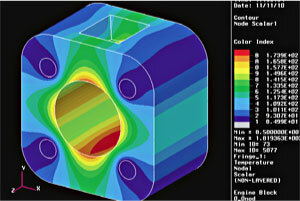 Computer simulation is indispensable in the design and development process of advanced devices, machineries, and structures. Precise modeling of design objects, accurate and fast computation, and optimizing the design solutions are crucial in the process. The Computational Mechatronics Group aims at developing fast computation techniques and novel numerical methods to cope with large scale complicated engineering applications, physically coupled problems, and structural optimization methods. 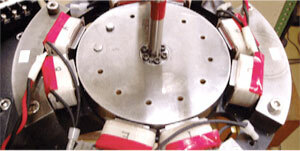 The development of the mechatronics system to move more safely, precisely, and effectively is desired. In this group, the analysis and suppression of the vibration problems, active/passive vibration control, condition monitoring and diagnostics, and the application of the smart materials in the field of mechatronics are investigated. 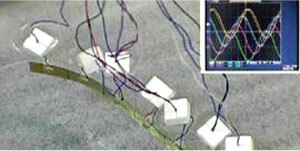 Our research projects involve micro-nano measurements, sensing and manipulation for biotechnology, robot-applied sensing, analyses of measurement information, and computer simulation. By quantitative measurements and analyses of micro-nano-scale phenomena, we aim to establish design fundamentals for micro-nano mechatronics such as micro-nano robots, information instruments, bio-sensing and bio-manipulation devices. Our research group aims at creating artificial products with comfort and safety to humankind through the research on system control and signal processing, which gives intelligence to mechatronics from the viewpoint of both the hardware (mechanisms, sensors, actuators, etc.) and the software (modeling, control, optimization, adaptation/learning, etc.). Mathematical Modeling: control-oriented modeling, model integration, model reduction, etc. System Control: optimal control, robust control, nonlinear control, etc. Intelligent Control: table tennis robot with sensor integration, adaptive/learning control, human centered control, etc. Humanoid Robot: multi-fingered hand, biped locomotion, etc. Control Implementation: vehicle dynamics and control, active vibration control, etc. A variety of human dexterous movements are controlled by excellent neural systems. Our research group aims at clarifying the control mechanism and learning function of brain neural systems. We also develop intelligent mechanical systems using control theory and optimization technique from the view point of computational modelling of the brain. Biomechanical Control: measurement and analysis of human movement, control mechanism of skilled motion, etc. Brain-like Information Processing : model of motor learning, integration system for sensory motor information, etc. Health and Welfare: wearable robot for assisting paraplegics, support system for rehabilitation , etc. 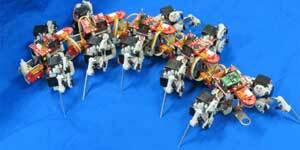 Intelligent Robotics: energy efficient biped locomotion, model predictive control, whole body control of humanoid, etc. Operations Research: optimization methods for machine learning and pattern recognition, dynamic programing, etc. Desirable future mobility systems are investigated by using cutting-edge system science, such as hybrid dynamical system theory, decentralized autonomous system theory and so on. The collaboration with human operator and adaptation to complex environment are particularly considered. In addition, theoretical development and industrial application are both emphasized. Copyright© NUEM All Rights Reserved.